We don’t want to depress anyone but, at the time of writing this, we’re in the second half of 2018. 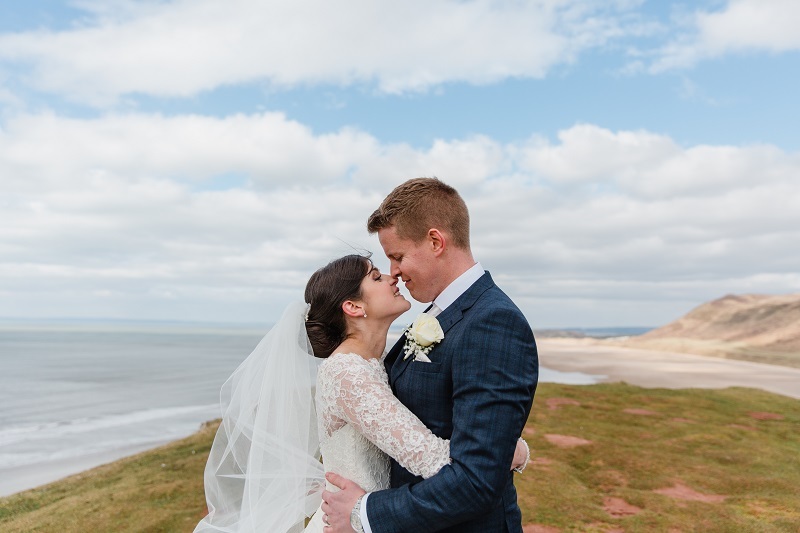 We may still be clinging on to the last vestiges of summer but the thoughts of the staff at Fairyhill start to turn towards 2019 and the weddings that we’ll be seeing in the New Year. 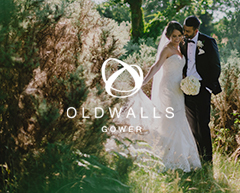 With key dates still available at our unique south wales wedding venue, we thought we’d take a look at some of the wedding trends you can expect to see in 2019. 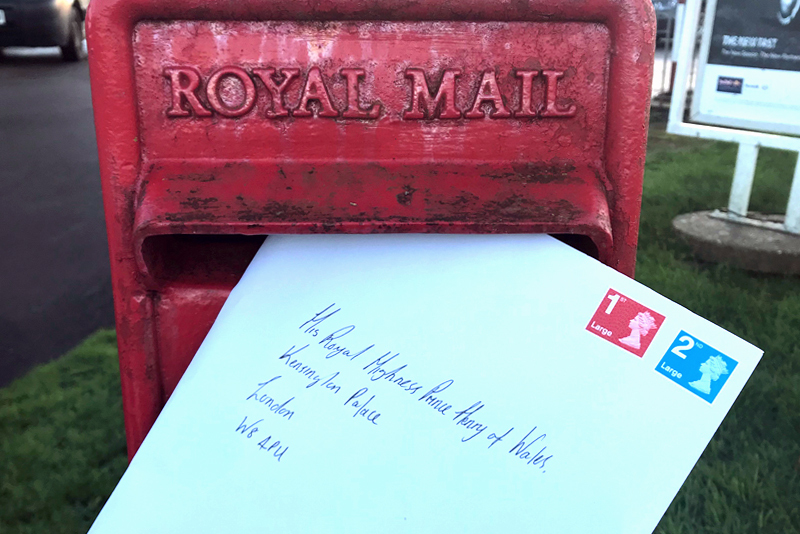 Despite the fact that the Royal Wedding has come and gone, we can still expect to feel the ripples of what we’re calling the Meghan Effect. Every aspect of the day has been highlighted in fine detail, including our own Royal Wedding review. 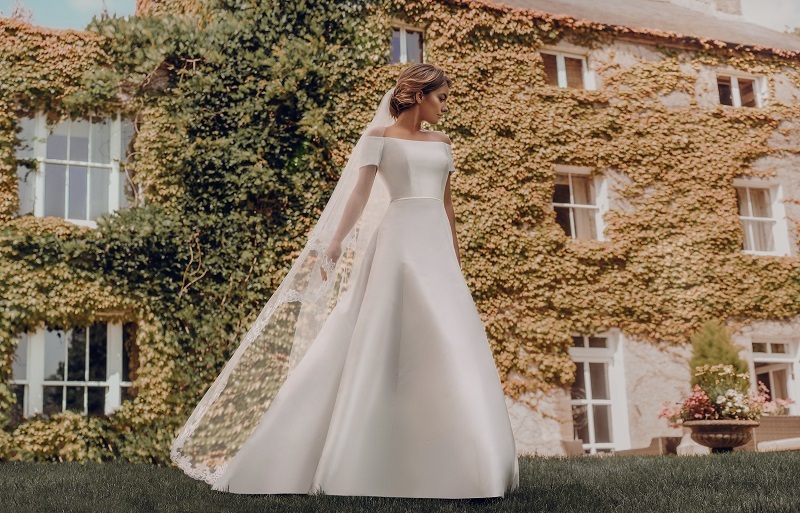 So it’s hardly surprising that brides will be drawing inspiration from the big day, from the minimal simplicity of Meghan’s dress, with its boat-neck and three-quarter sleeves, to her diamond tiara and wild-flower bouquet. When it comes to colours, bold would seem to be best. Vera Wang showcased an entire collection of dresses focused on lots of colour. Traditional, rustic colour schemes look set to be replaced with darker hues. Lighting, flowers and accessories are seeing a move towards darker colours, including purples, violets and periwinkles. 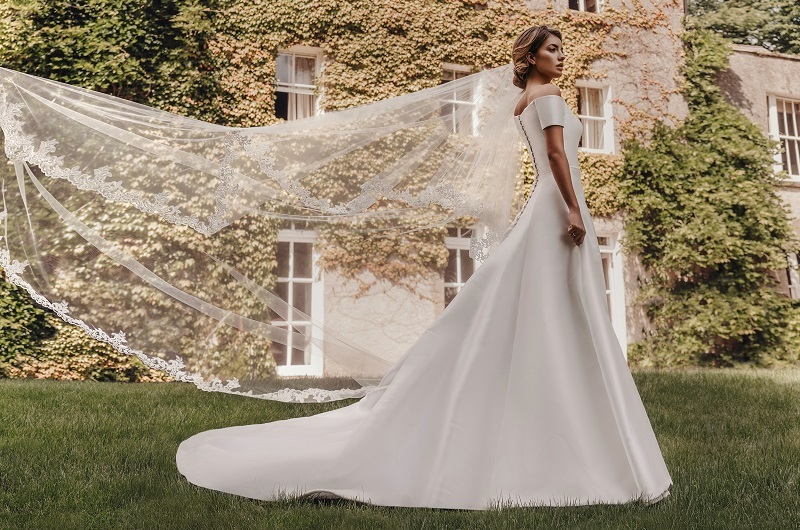 As well as Vera Wang’s foray into colour, the spring 2019 bridal trends on the catwalk veered towards braver, bolder, riskier choices. Wedding trends went big with bold blooms taking centre stage on dresses and replacing oversized bouquets. Feathers appeared as sculptural features and bows grew in size to become a focal point rather than a finish. Metallic finishes are a crossover from 2018’s wedding trends and the ever-present ruffle also appeared in many of the latest collections. While riskier silhouettes included a blouse out from the empire waist, most collections also featured minimally sophisticated options. Proving that sometimes simple is still most effective. 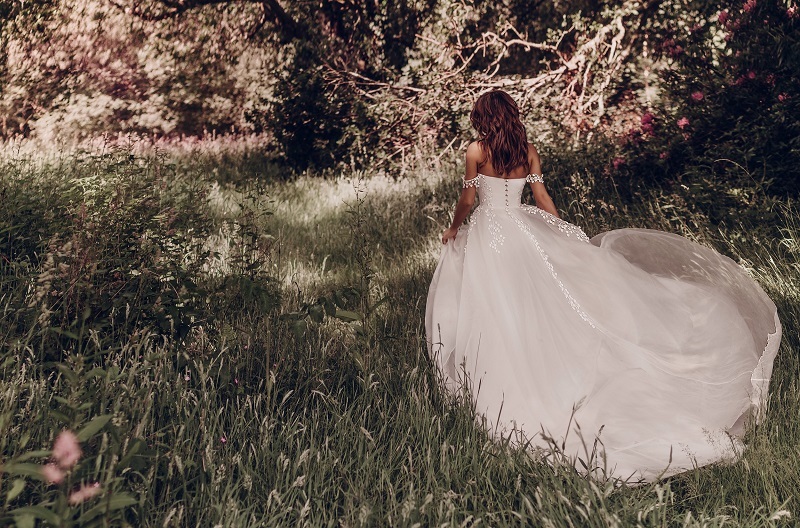 We had our own brush with haute couture when we proudly played host as the location for the renowned bridal designer, Stephanie Allin. She came to Fairyhill to shoot her 2019 lookbook. As you can see, the results were stunning! And you can expect to see these bridal trends walking down plenty of aisles next year. From the groom’s attire to place settings, a mix-and-match mentality is starting to trend. Uniformity can look clean and stylish but sometimes breaking things up a bit can add a much-needed element of fun and remove the risk of the day feeling regimented. 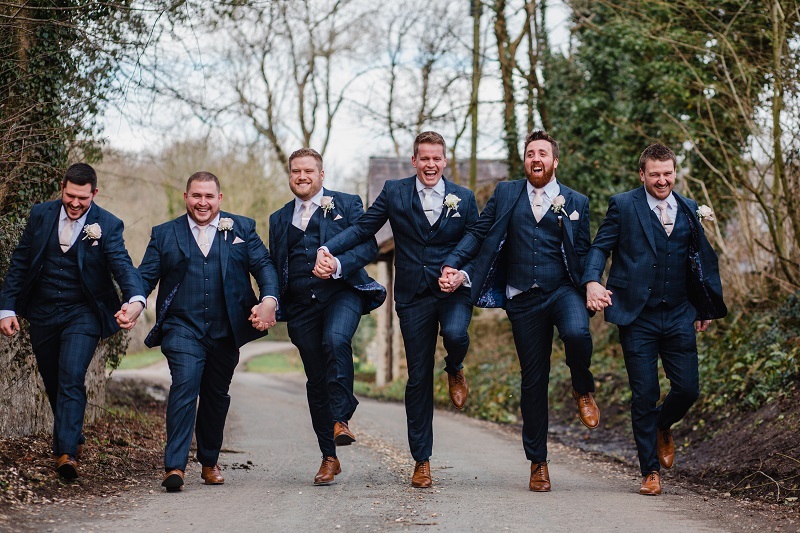 When it comes to the groomsmen, it’s not just the bridesmaids who will be turning heads. Tailored fits with pops of colour will take centre stage, including checks, floral and polka dot patterns. Although they’ll obviously never be enough to overshadow the bride! While smartphones make it a lot easier for people to get their own wedding pics, they can get in the way of a special day. Expect to see more “unplugged ceremonies” where people are encouraged to put away their mobiles and enjoy the moment. This obviously won’t be the case at the reception where people can share and record as much as they like. Speaking of technology, the traditional wedding video is getting a bit of a makeover thanks to the popularity and prevalence of drones. 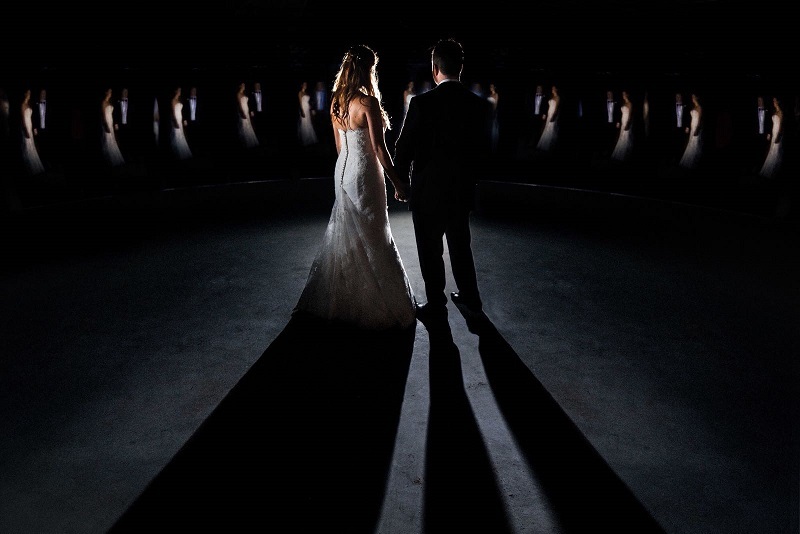 Aerial shots, steady-motion tracking and overhead group photos allow couples to capture unique perspectives of their special day. You can get an idea of what a drone might bring to your wedding in this taster of our latest video (coming soon!). 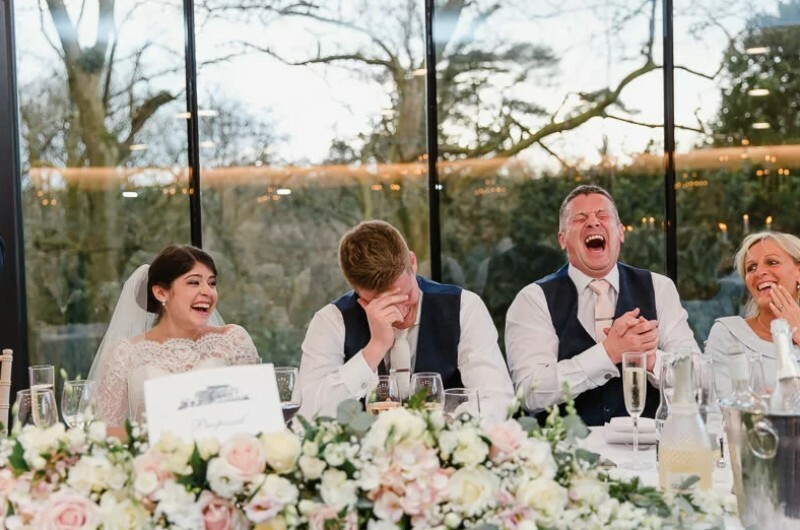 Finally, we can personally confirm that outdoor ceremonies will definitely be one of most popular wedding trends in 2019. While the British weather might not guarantee that it’s possible throughout the year, you can bring the outdoors in with the latest centrepiece trend. 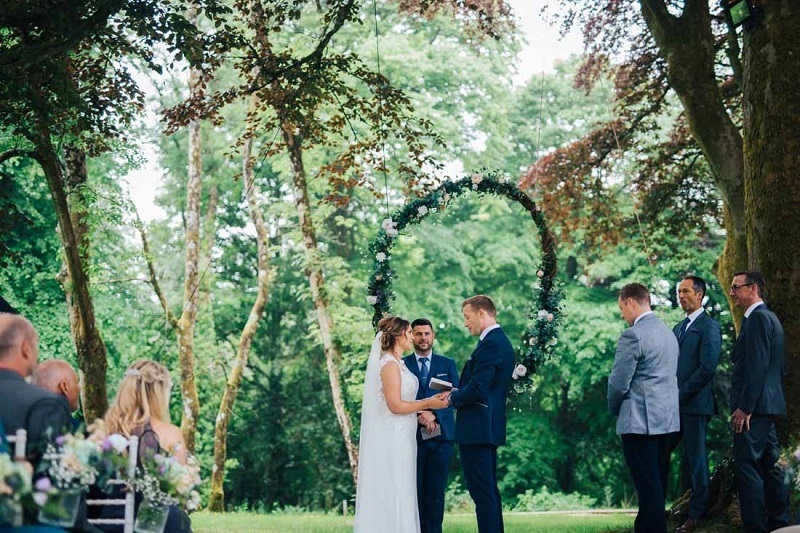 Plenty of greenery with floral hoops and other hanging decorations with a natural theme can bring the great outdoors into your ceremony and reception. It also helps if you have a stunning view, like the one from our own K Room. 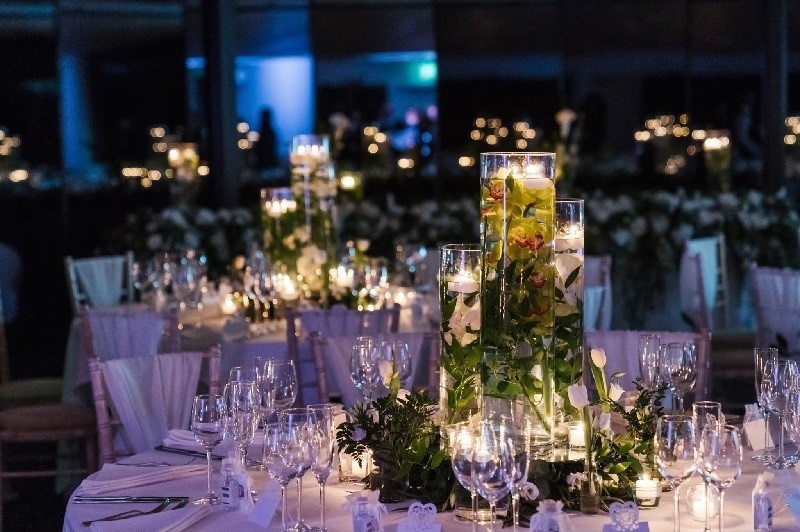 If you’re considering a 2019 wedding, get in touch with our team today or come along to our next wedding showcase.